We have all had enough of those cliché fantasy worlds with brave knights, ladylike elves and little people obsessed with jewellery. Generia is just another of those worlds... Thankfully there are evil barbarians coming to plunder, impale, drink beer, use inappropriate language and generally to... see more We have all had enough of those cliché fantasy worlds with brave knights, ladylike elves and little people obsessed with jewellery. Generia is just another of those worlds... Thankfully there are evil barbarians coming to plunder, impale, drink beer, use inappropriate language and generally to make things interesting. And guess what? It&apos;s you who will lead them! Go back to the days when you thought real time strategy games were awesome. But this time you don&apos;t need to spend a whole hour to just win a skirmish. Jump right into battle and use your rusty strategic and tactical skills to crush hundreds of enemies within minutes! 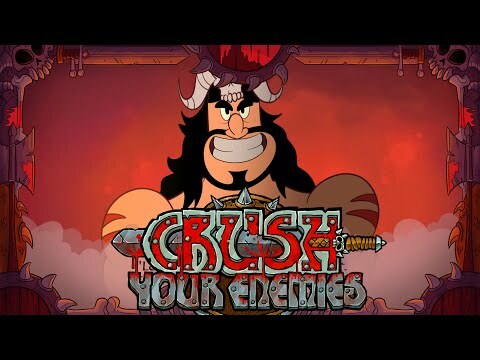 Crush Your Enemies has everything you like in strategy games: planning, choosing different types of units, managing resources, taking enemy territory and outwitting your opponents with the ingenious formations of your men. Only of this strategic goodness is packed into a tight and intense experience you can enjoy no matter how little time you have.